Gluten-free one day at a time! 🙂 I’m learning. 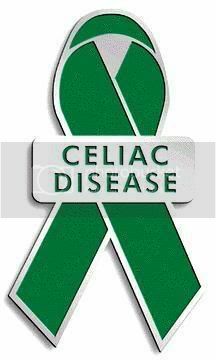 I was diagnosed as celiac under the age of six years old. This in and of itself is a major breakthrough of statistics in the USA, as I was born in 1971. 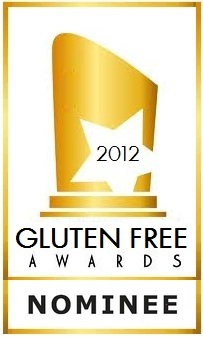 I had an awesome Pediatrician who had experience in celiac diagnosis. Current statistics state it takes ten years to be officially diagnosed as celiac in the U. S. A. and thirteen years as coeliac in the United Kingdom – with averages varying widely across Europe. That said there were still some failures in my young Life. I was fed corn flakes as there is no gluten in that, right? Wrong – barley malt. I was fed vegetable soup with barley in it. There were other food items I was fed without full knowledge of gluten-containing ingredients. We all now know these are the wrong answers in living a celiac, gluten-free Life. Education back then was sporadic at best and poor at worst. Shall we fast-forward to High School and the consequences of celiac disease and Teen-Social Life? I became “the Rebel” in regard to my celiac disease and ate gluten with abandonment to “fit in” with the “in-crowd.” I developed symptoms I wouldn’t have associated with celiac disease at that time. One of the more pronounced symptoms was Dermatitis Herpetiformis. Of course I also had the usual symptoms of IBS (Irritable Bowel Syndrome), constipation, diarrhea, and eczema. Not being “fully educated” on the ramifications of celiac disease, I thought these symptoms were normal at the time. In my 20’s and 30’s, I had a better respect for celiac disease. However, at that time I still thought standard beer, Modified Food Starch (undeclared), “ flavorings” and other ingredients were safe for celiacs. I also did not respect caution with the “shared equipment with wheat/gluten” labeling. I was not the model or poster-person for “living gluten-free as a celiac” I realized later. Parts of this portion of my Life led were due to the inconvenience aspect and disrespecting the thought process of survival of Life in regard to celiac disease and being gluten-free. Now I’m in my 40’s. The Internet has had a profound affect in how I deal with celiac disease. I have learned a lot in regard to symptoms, hidden ingredients, and what “not to do” in regard to living with celiac and being gluten-free. Twitter interaction has also helped a lot in keeping me updated with potential pitfalls of failure; as well as successful hints, recipes, and products in regard to celiac disease. I’m looking forward to living in a healthier celiac body by being truly gluten-free.